Completely new compact, dynamic designed zoom binocular with unconventional styling that will appeal to young and old male and female. 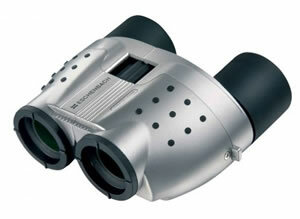 These ultra light weight stylish binoculars will also appeal because of their excellent optical and mechanical quality. The compact Porro prism design and the fully multicoated optics ensure a bright contrast rich image while the Bak-4 glass used in their manufacture gives high colour fidelity. Supplied with a soft carrying case and strap for protection and convenience. Completely new compact, dynamic designed range of binoculars with unconventional styling that will appeal to young and old male and female. 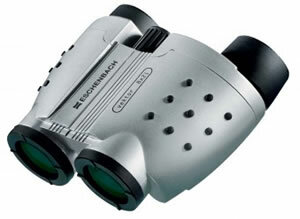 These ultra light weight stylish binoculars will also appeal because of their excellent optical and mechanical quality. The compact Porro prism design and the fully multicoated optics ensure a bright contrast rich image while the Bak-4 glass used in their manufacture gives high colour fidelity.